Crocheted button loops are nice alternatives to buttonholes. You can use crocheted button loops in a lightweight garment where you don’t need a tight closure to the front or as a simple one-button closure at the top of the neckline. You work button loops into the last row or the last two rows of an edging of a garment. If you’re using a lightweight yarn, work the loop in the last two rows to give it more strength. If you’re using a heavier yarn, a loop worked in the last row is sufficient. 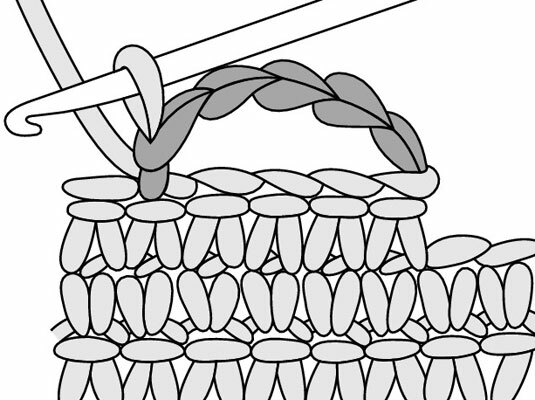 On the next-to-last row of the edging, mark positions across the front edge where you want the beginning of your loops to be positioned. Crochet across the row until you reach a marked position. Make a chain just long enough to make a loop that the button can slip through. Without skipping any stitches, continue crocheting until you reach the marker for the next loop. Repeat Steps 2 through 4 across the row, turn. 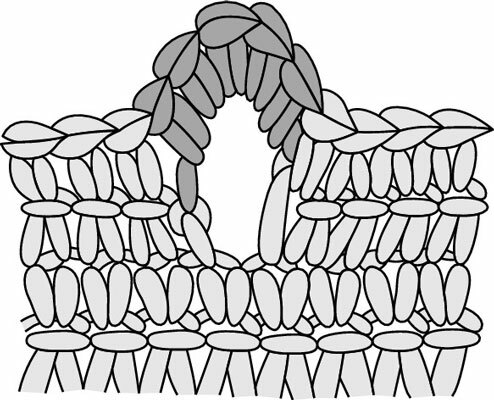 For the last row, crochet evenly across, crocheting into each chain stitch in each loop. Before you begin the last row, mark positions across the front edge where you want to place your loops, marking both the beginning and ending of each loop. 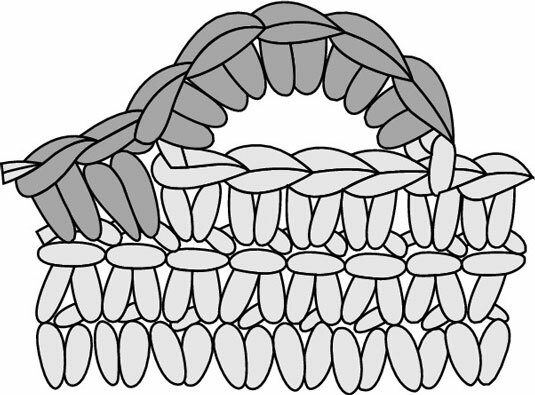 Crochet across the row until you reach the second marker for the first loop, turn. Make a chain large enough to slip the button through. Slip stitch (sl st) the chain to the edge at the first marker of the first loop. 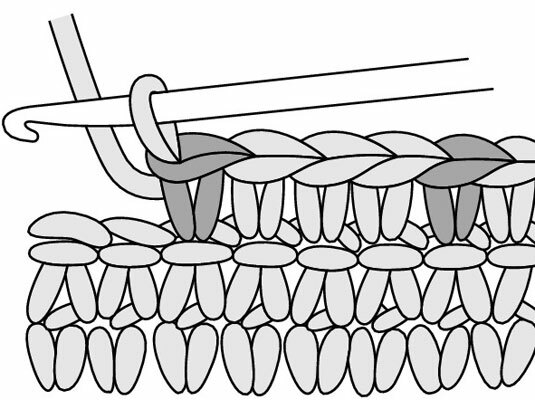 Turn and work a single crochet (sc) stitch into each chain (ch) of the chain loop and continue across the row. Repeat Steps 2 through 5 for each button loop.